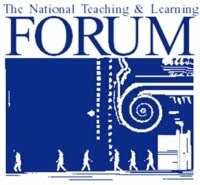 Check out our online subscription to The National Teaching & Learning Forum! Published six times during the academic year, the National Teaching & Learning Forum covers the breadth of college teaching and learning issues including learning theory, class management, pedagogical innovation, technology and more. With regular features and progressive coverage of developments as they happen, the Forum builds and supports an ongoing conversation about teaching and learning on campus. 1. Go to the National Teaching and Learning Forum homepage at http://onlinelibrary.wiley.com/journal/10.1002/(ISSN)2166-3327. 2. 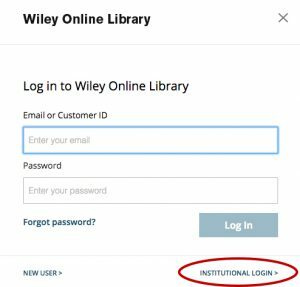 Click on “Log In / Register” at the top right corner, choose “Institutional Login”. 3. 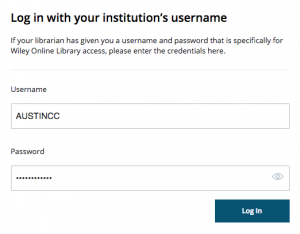 Log in using the username and password provided below.